Mensusa https://www.mensusa.com/articles/3-piece-suit-attires-that-would-always-be-relevant.html 3 Piece Suit-attires That Would Always Be Relevant To The Fashion Trends 3 piece suits are timelessly classic formal attiring solution for men. 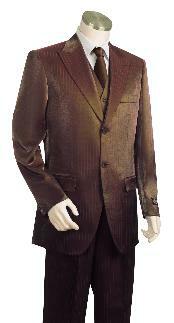 www.mensusa.com offers the most ravishing collection on 3 piece brown suit. In instances you require dressing for the formal occasions, there can be never a better dressing option than the 3 piece suit. These suits are timelessly classic attires that enable you to project your fashion pursuits to the world in the most ravishing style. 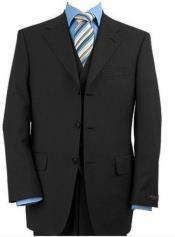 The 3 piece suit comprise of the suit coat, the vest and the trousers that matches the Suit coat and the vest. Together, it enables you to make an elegant and stylish appearance. Though, the suits designed in 3-pieces are bit towards the conventional sides, still, these ravishing attires stands ahead of time for its impeccable show and diligence. You can say that these elegant suits enable you to keep track with the changing fashion world in the most relevant styles. At the top fashion retails like www.mensusa.com , you can expect getting fabulous collection on three piece suits that comes in varieties of colors, design and style. Based on certain subtle variations, you can get options that are exclusive by it own means. No matter the changes that come up in the context of men's fashion, the three piece suits would stand as equally elegant and relevant attiring for the fashionable men. The portfolio of the three-piece suits comes with diligent options based on colors and among all the available options, the 3 piece brown suit holds a special place for the formidable look at it features. As the three-piece suits are more towards the formal sides, the brown shading makes it to look classier and hence, it further boosts your appearances. 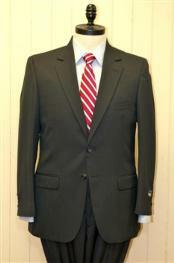 These suits can even be worn in great style for the special events that carries a formal or business spirit. Men love these suits as it suits on all sorts of skin tones and you can wear the suits in same diligence for the daytime and evening occasions. 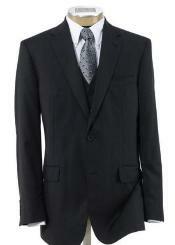 The 3 piece suit black are probably the attires that make men to go weak on their knees. These suits feature a classy, matured and sophisticated taste. You can dress in the black shaded 3-piece suits irrespective of the fact that you would attend a day or evening occasion and the best part is that these suits can be paired with any given shades of the shirts. Hence, these suits come as comprehensive dressing solutions that enable the fashionable men to make a stylish and high-fashioned public appearance. Exploring the portfolio of the stylish three-piece suits, another elegant option that comes up is the gray three piece suit . The gray shade projects a soft yet strong fashion statement while the 3-piece design adds a classy touch to your appearance and combining the goodness of the two, your appearance gets boosted in a style that it can never ever go unnoticed. The big and tall 3 piece suits come as the most delightful formal dressing options for the men who have a taller and/or bigger stature than the average of men. These suits give equally fashionable attiring to those bigger and taller men as their counterparts with average built get. The portfolio of bigger and taller suit accommodates the larger men in the mainstream of fashion and hence, it can be said that these suits make men's fashion more comprehensive and universal.